1) Maximize Your Contributions to Your 401(k) Plan Many employers will offer a 401(k) plan. Employees need to take advantage of this plan. This will likely be one of the cornerstones of your retirement plan. If your employer offers a match, you really need to participate in this plan at least to get the match amount. 2) Maximize Your Contributions to Your IRA Taxpayers that are eligible can contribute up to $5,000 per year to an IRA. Taxpayers over age 50 can make a so-called “catch-up” contribution of $1,000 or a total of $6,000. 3) Invest in Municipal Bonds Municipal Bonds are issued by States, Counties and Towns. The interest paid on these bonds is not subject to federal income tax. 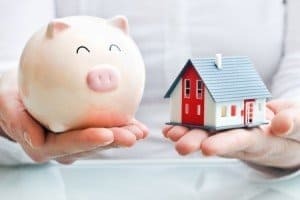 Connecticut residents that purchase Connecticut Municipal Bonds will not have to pay federal or Connecticut Income Tax on this interest. 4) Recognize Long-Term Capital Gains The stated long-term capital gains rate is 15%. Long-term is for capital assets held longer than a year. Short-term capital gains are capital assets held less than one year. These are taxed at ordinary income tax rates. Capital gains assets include stocks, bonds and mutual funds. If Congress does not take action, the long-term capital gains rate will increase to 20% in 2013. 5) Contribute to a College Saving 529 Plan There is no federal income tax deduction for contributions to a College Savings 529 Plan. Qualifying distributions however are income tax-free. Additionally the donor (typically the parent or grandparent) will have these assets out of their estate. 6) Give Away Appreciated Property The easiest way to make a charitable contribution is to write a check. There is an income tax advantage however to giving away appreciated property. When appreciated property is given the donor is allowed to take a tax deduction for the fair market value of the property donated. Additionally, they avoid any potential capital gains tax on this asset had they sold it. The deduction for cash donations is limited to 50% of Adjusted Gross Income (“AGI”). Donations of appreciated property are limited to 30% of AGI. 7) Do a Roth Conversion A Roth Conversion is when assets are distributed from an IRA, taxed and then rolled over (“converted”) into a Roth IRA. Although this will generate income tax in the current year, the Roth should provide for tax-free income when distributions are made in future years. For the distributions to be tax-free, the Roth IRA account needs to be open for a minimum of 5 years and the taxpayer needs to be over age 59 1/2. There is no Required Minimum Distribution (“RMD”) required for the owner on their Roth IRA. This makes the Roth IRA a wonderful wealth transfer tool.